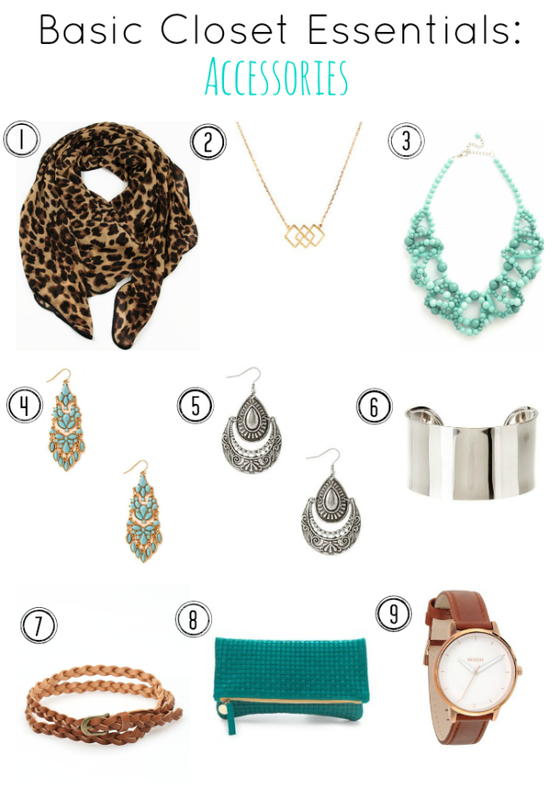 This week's edition of closet essentials is all about accessories. This was the hardest topic to narrow down to the basics because usually accessories are for dressing up the basics. I do love and encourage a wide range of accessories to change up your look, but I've narrowed down nine types of accessories that would be valuable to have in your wardrobe. As always, my intent isn't to give you an exact item to purchase, but to help you find holes in your existing closet. If you have missed any of this series, feel free to catch up on basic TOPS, PANTS, SHOES, and DRESSES. 1. 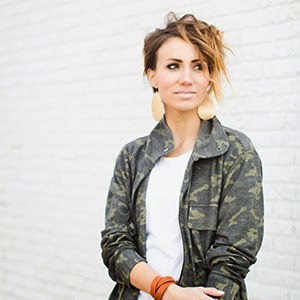 Neutral Printed Scarf - A leopard scarf is my printed scarf of choice, but if you can find a print that mixes with most of the colors in your wardrobe, that works too. A printed scarf can add pattern to any basic outfit and is certainly more interesting than a solid. Other basics to look for are a solid black scarf and a few non-neutral colored scarves to mix in your wardrobe. 2. Dainty Necklace - Dainty necklaces are having a moment again and I think owning one that you love is a great idea. Wear one to dress up a t-shirt or a feminine blouse. I love big earrings, but most necklaces compete with them, so a tiny necklace is a must. 3. Statement Necklace - Owning a statement necklace that you love is valuable too. I am a fan of teal or coral statement necklaces because they match almost anything. A rhinestone/blingy necklace is also a great option. Use statement necklaces to dress up a tee, chambray, or little black dress. 4. Statement Earrings - Statement necklaces and statement earrings serve the same purpose. While you shouldn't wear them together, each can dress up or add interest to an outfit. 5. Metallic Earrings - While studs and small earrings are fine, I encourage women to own a pair of larger silver or gold earrings. They don't need to be very large, but a pair of dangle or drop earrings can really step up an outfit from basic to a lot more put together. 6. Cuff - This is my go-to bracelet of choice because I have such small wrists that other bracelets fall right off. I love the idea of a cuff because it adds a little edge to an outfit and it is an unexpected bracelet choice for most women. Try a silver or gold metal cuff and a leather cuff as well. 7. Braided Brown Belt - A basic braided brown belt is the most versatile belt you can own. I love styling them around dresses, cardigans, skirts, and even through belt loops. 8. Color Pop Clutch - Many women carry around a neutral colored purse on a day-to-day basis. It works because it matches anything and doesn't draw attention to itself. But for date night or for going out, a bright clutch is the way to go. Try teal, coral, or red if you are looking for a color that will still match almost anything. 9. Statement Watch - A statement watch is a watch that has something unique about it that you love - something that makes a statement. You can wear a watch with anything, so choose an interesting one that you love. It could be oversized, gold, rose gold, a bright color, or it could have a very simplified band and face. What is your go-to accessory? Which one can't you live without? Always wear a watch. I have a fossil one from about 10 years ago. It is boring and silver, but it works. I like the idea of statement necklaces on others but not on me, and I never wear scarves. Something about those two things just seems wrong, at least on me. 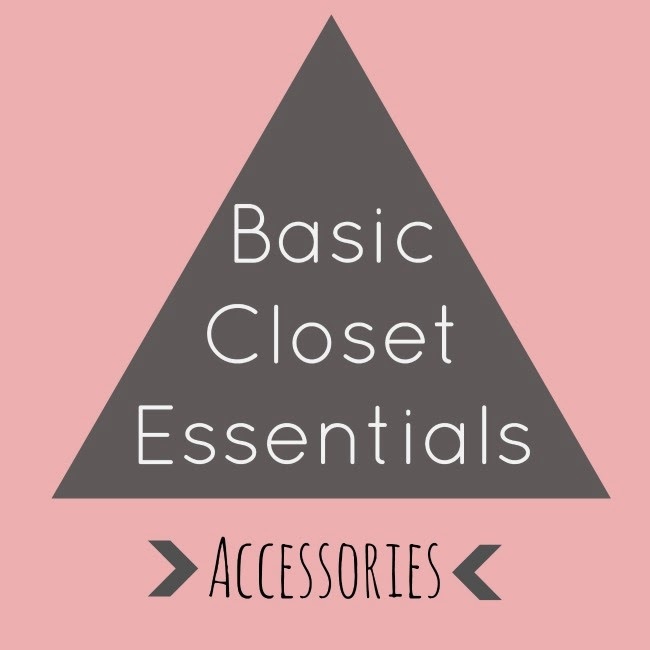 Your Basic Closet Essentials series is awesome! I'm working on incorporating all the pieces into my wardrobe. 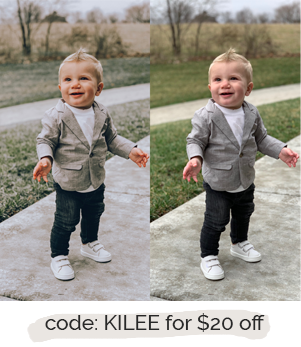 Your sense of style and advice is perfect for my life as a teacher and busy mom. And as I sit here typing, I am wearing your earrings and bracelet (my mother's day gift!)! I have a hard time with bracelets, too - because of my small wrists. That's why I love your leather cuffs. Thanks for the tips!